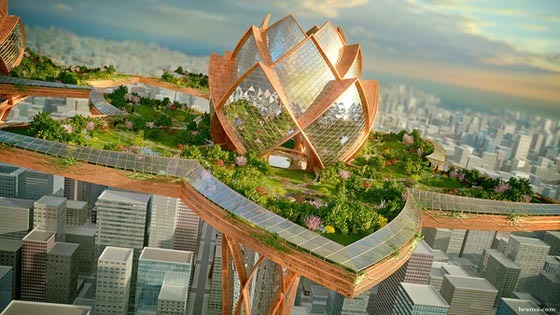 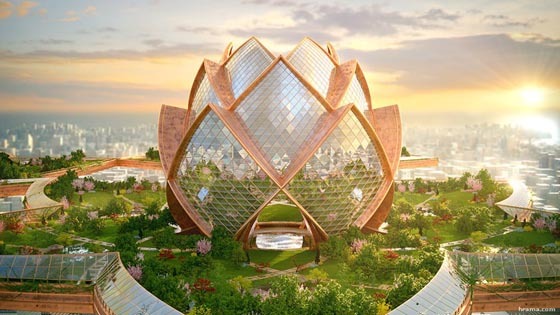 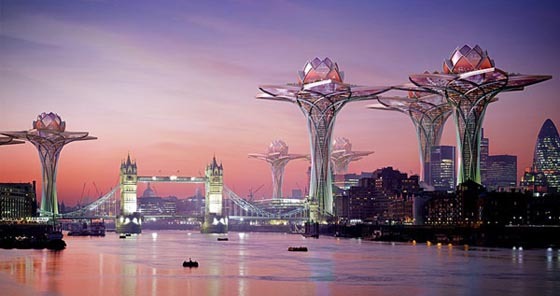 Inspired by the Lotus flower which is known for its ability to emerge above the murky waters pure and clean, Hrama designed a futuristic “City in the Sky” where gardens and oases soar far above the congestion and pollution that at times mars magnificent cities such as London and New York. 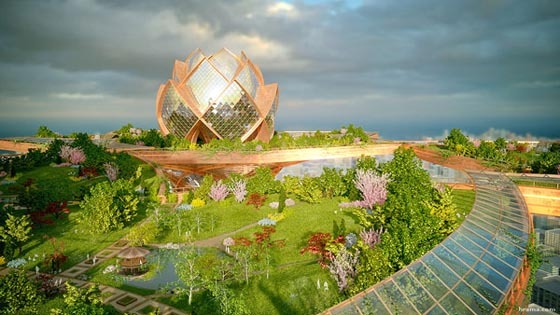 The City in the Sky features glass and steel structures that support reflective ponds and sprawling lawns. 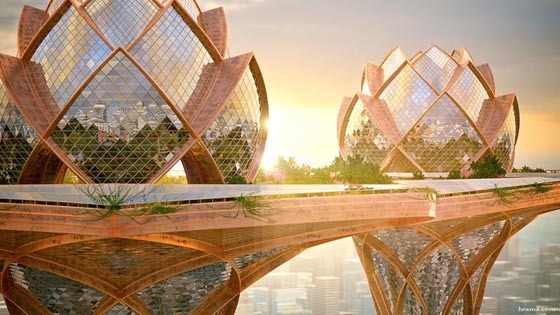 Groves of trees offer a calm respite from the chaos far below. 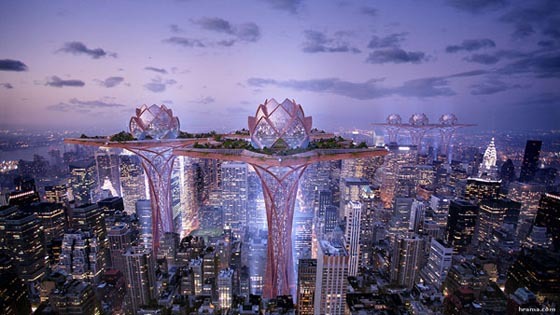 Initially, the architect’s work was intended for Megatropolis, a project involving several artists and companies to build a “future mega developed city”. 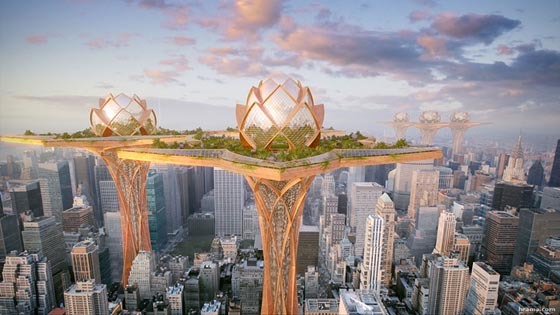 Although it is realistically presented, the concept doesn’t intend to be realistic in terms of structure-engineering or real living environment. 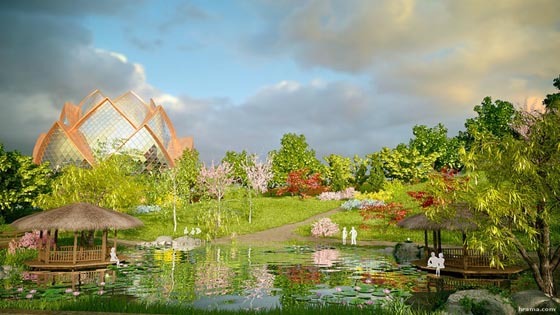 It is an artistic imagination of a tranquil hideaway from the stress of everyday life. 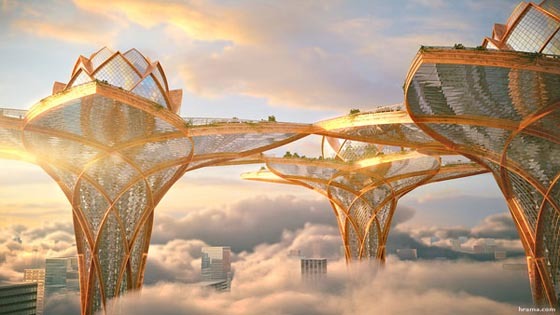 “City in the Sky” is truly a breathtaking futuristic Eden, and if you want, take a look at the 3D tour of the conceptual design in a video format.